Rossignal Womens medium binding. 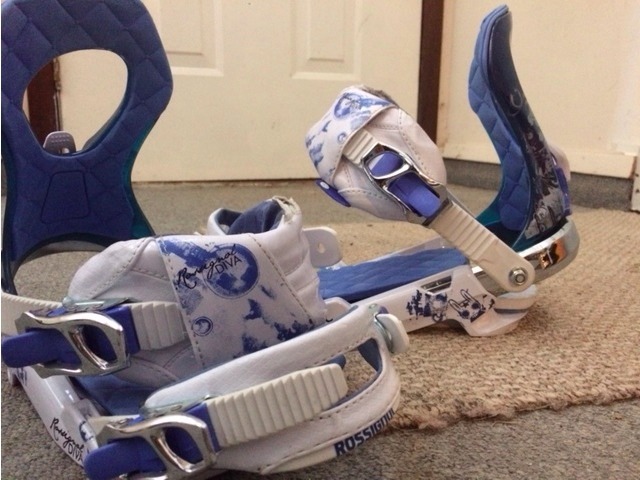 Great medium flex highback, great for riding pow and flexible enough for park. Great all round binding. Minor wear on heel and toe strap from riding.